FINAL SALE. 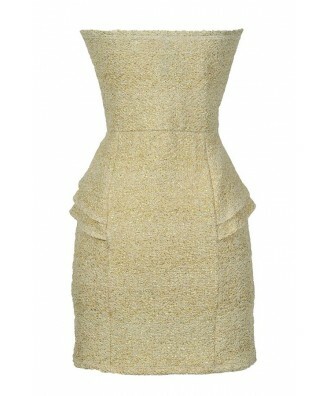 You’ll feel like a golden goddess in this fashion-forward ivory and gold peplum pencil dress. 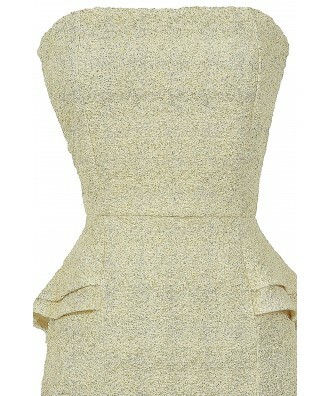 The Glitter and Fame Ivory and Gold Strapless Peplum Dress is made of a textured scrunch matelassé fabric we love. 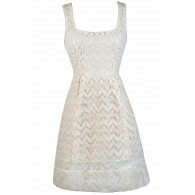 It has an ivory background with flecks of gold throughout—you’ll sparkle in this beautiful dress! Details such as the strapless neckline and princess seams create a flirty shape, while the peplum detail on each side makes this dress a knockout. 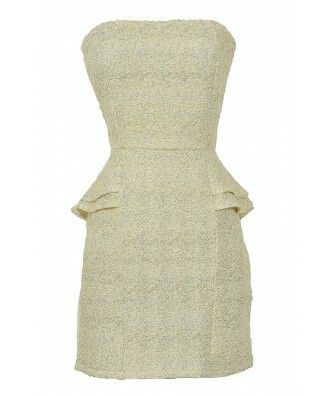 The Glitter and Fame Ivory and Gold Strapless Peplum Dress would be perfect to pair with ivory or gold pumps or heels for any upcoming cocktail party. 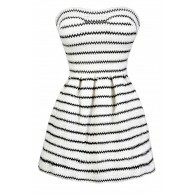 This dress will look great against your summer tan. 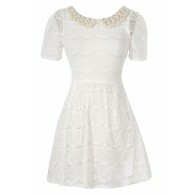 Fit note: This dress runs a bit small; consider sizing up. Details: Made in USA. 96% nylon, 4% spandex. Hand wash cold. Do not bleach. Low iron. Small measurements: Length from top of bust to hemline: 25”. Bust: 30”. 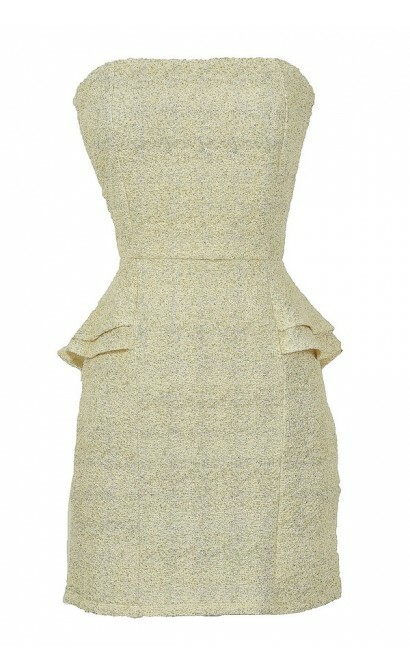 You have added Glitter and Fame Ivory and Gold Strapless Peplum Dress into Wishlist. 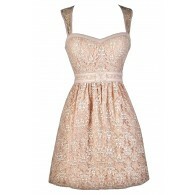 You have added Glitter and Fame Ivory and Gold Strapless Peplum Dress for Stock Notification. 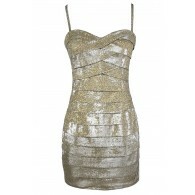 You have set Glitter and Fame Ivory and Gold Strapless Peplum Dress as a loved product. 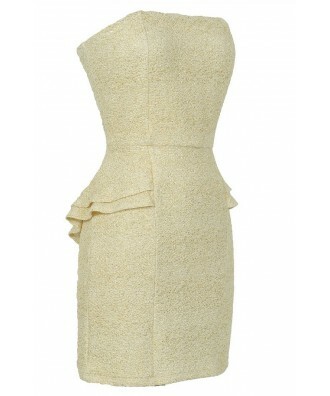 You have removed Glitter and Fame Ivory and Gold Strapless Peplum Dress as a loved product.